See the best of Iceland through the eyes of a local! 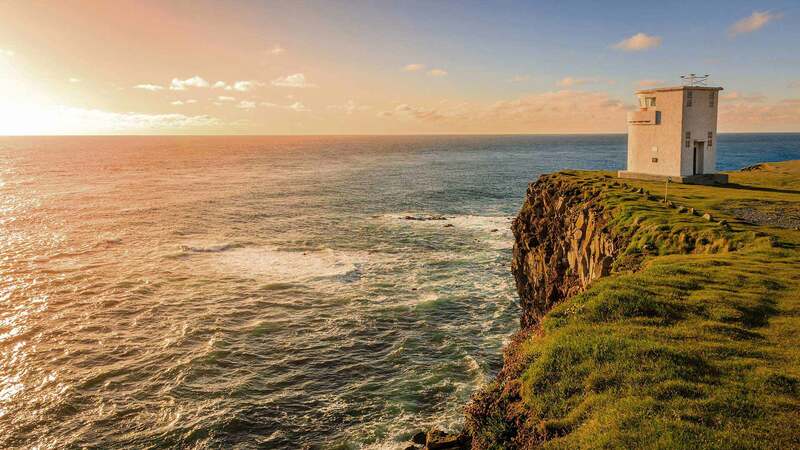 This 14-day guided small group tour lets you experience the best of Iceland, from the charming capital city, Reykjavík, to remote stretches of idyllic Icelandic nature. 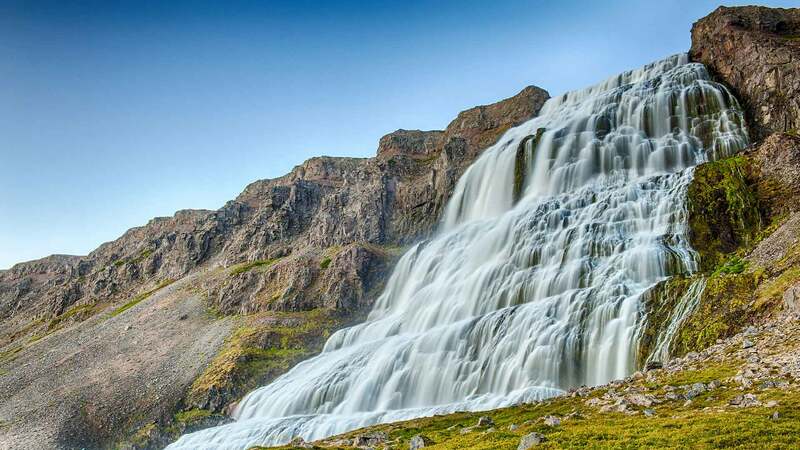 The route combines popular attractions along the famous Ring Road, like the Glacier Lagoon, Golden Circle and south coast, as well as the lesser-known gems of the Westfjords. 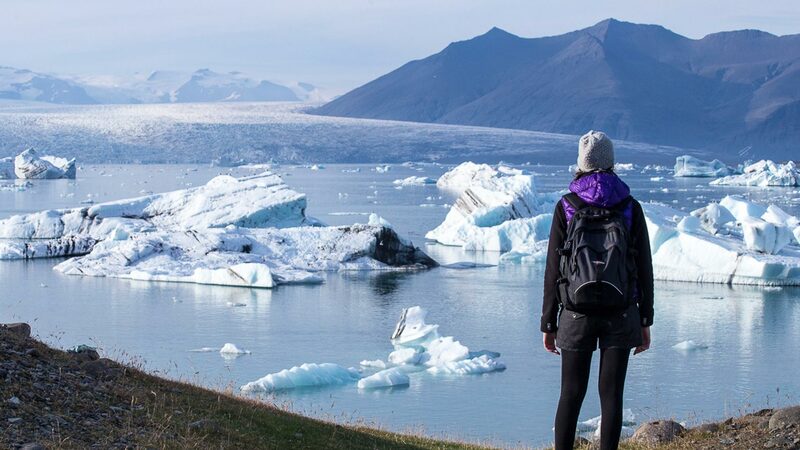 This tour allows you to explore every corner of Iceland, with exciting activities including a boat tour to Vigur island, a visit to the Mývatn nature baths, boat tour among the icebergs at the Glacier Lagoon, and go to the best museums that our staff recommends. On arrival at Keflavik International Airport, you will be welcomed by a driver and transferred to your accommodation in Reykjavík. After settling in, take the opportunity to explore the vibrant city centre at your own pace. The main downtown street, Laugavegur, offers a variety of shops, galleries, restaurants, coffee houses and bars to suit all tastes—all within an easy walk. In the evening, have dinner at one of Reykjavík‘s many gourmet restaurants (not included) and spend the evening at leisure. Spend the night at Skuggi Hotel or similar. This morning, your guide will meet you at the hotel and you will head to Þingvellir, a national park which has been nominated as a UNESCO world heritage site. 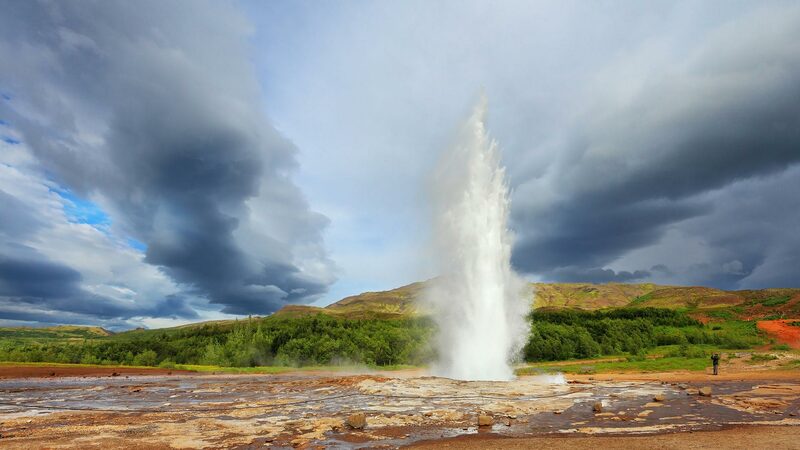 Next, you will visit the great Geysir area with its spouting geysers and colourful hot springs. The tour will continue to Gullfoss, the golden waterfall, where you can see white water thrash and tumble down two-tiers, falling metres below. After a scenic drive, the tour will make a special stop at Friðheimar farm, where we’ll get to taste geothermally-grown tomatoes from one of their greenhouses. We will also meet Icelandic horses, famous for their diversity of gaits, strength and good spirit. After a day filled with fun highlights, you will enjoy dinner with your fellow travellers with an amazing view over the Ölfusá river. Spend the night at Hótel Selfoss or similar. Average Driving Distance: 195km / 121 mi. This morning, you and your fellow travellers will learn about Iceland‘s unique geology. You will visit the Lava Centre, an interactive exhibition about Iceland’s volcanic activity, its frequent earthquakes and how Iceland evolved over millions of years. 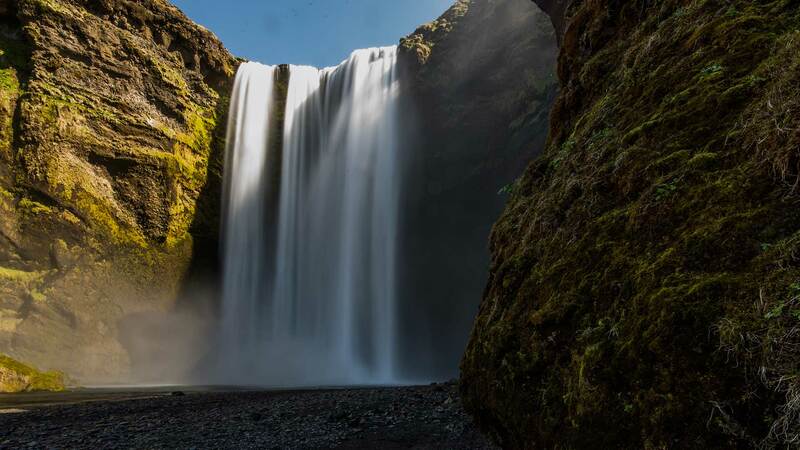 The next leg of the tour takes place along the south coast, with a stop at the Seljalandsfoss waterfall, where you can experience walking behind the misty cascade, and the gorgeous 60-metre high Skógafoss waterfall just a short drive down the road. 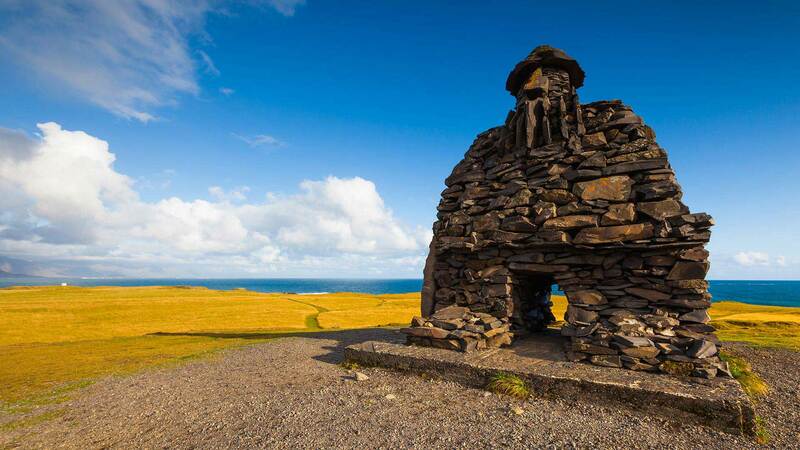 We will make a stop for a tour of Skógar Folk Museum, which boasts an array of interesting artefacts including an original turf farm. Further ahead at Vík, you will get to visit the black volcanic beach south of the village, from where you can view the rock formations Dyrhólaey and Reynisdrangar. After exploring the beautiful black beaches we continue our journey to our charming accommodation in Kirkjubæjarklaustur where you will enjoy dinner with the group. Spend the night at Magma Hotel or similar. Average driving distance: 225 km / 140 mi. Today’s drive takes us to some of Iceland’s most photogenic attractions, including a visit to the beautiful Skaftafell area of Vatnajökull National Park, named for Iceland’s largest glacier. 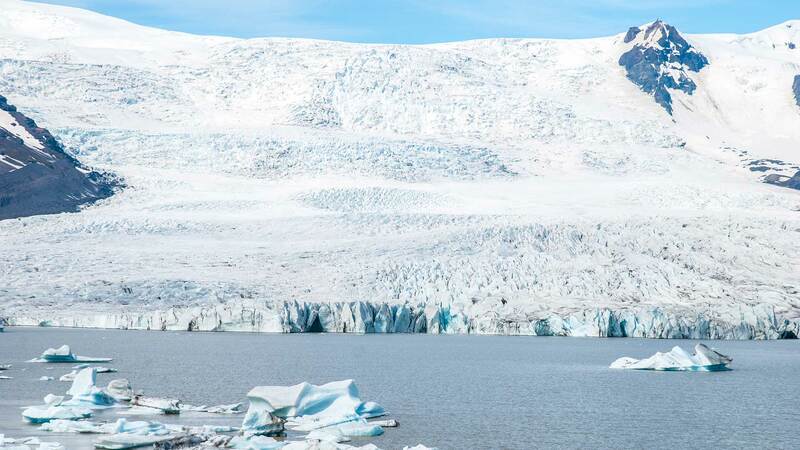 Here you‘ll have some time to explore the area before heading on to the Fjallsárlón glacier lagoon, and onwards to its more famous neighbour, the Jökulsárlón glacier lagoon, where we will sail among the floating icebergs on a guided amphibian boat tour. After our glacier experience, get ready for some home-made ice cream, called glacier ice cream or Jökulís, at one of the local farms in the area. End the evening with a group dinner with your fellow travellers. Average driving distance: 190 km / 120 mi. Today’s drive through east Iceland allows you to experience tranquil fishing villages, as well as vistas of spectacular fjords and sweeping landscapes. 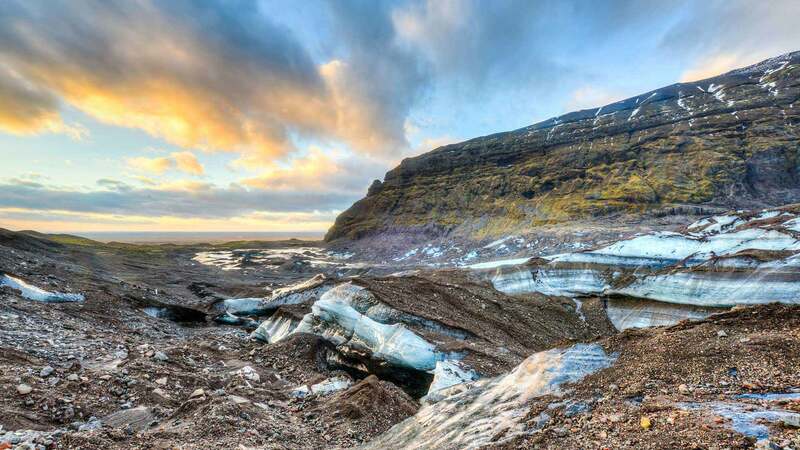 On the way we will make a stop that might delight those who enjoy offbeat attractions – particularly geology buffs or garden enthusiasts - a visit to Petra’s Mineral Collection in Stöðvarfjörður. Then we will continue making our way through the rugged East Fjords, towards Egilsstaðir, making a short visit to Seyðisfjörður. Afterwards, you will return to Egilsstaðir, where you will have the evening at your leisure. Please note that dinner is not included on this day. There are several restaurants to choose from in town, as well as the choice to dine at the hotel. Average driving distance: 318 km / 198 mi. Today we head north with a stop at the roaring waterfall Dettifoss, Europe’s most powerful waterfall. 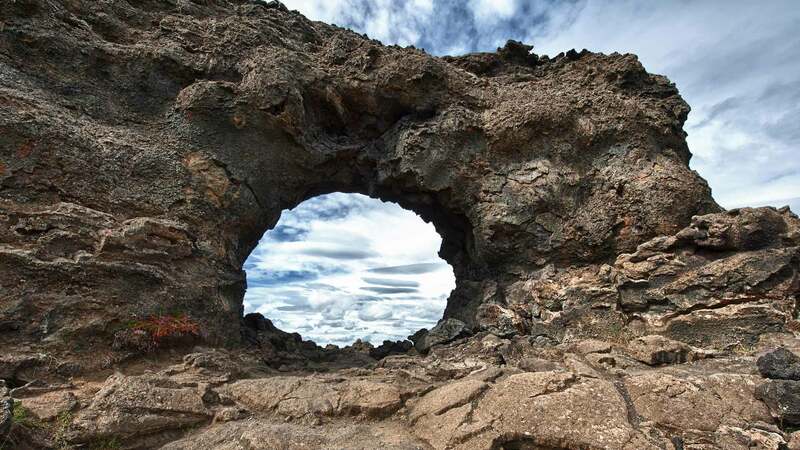 Next, we will head to the volcanic landscape of Lake Mývatn where we will visit sights such as Dimmuborgir, which is a magnificent lava landscape with extraordinary formations, columns, caves, and arches. 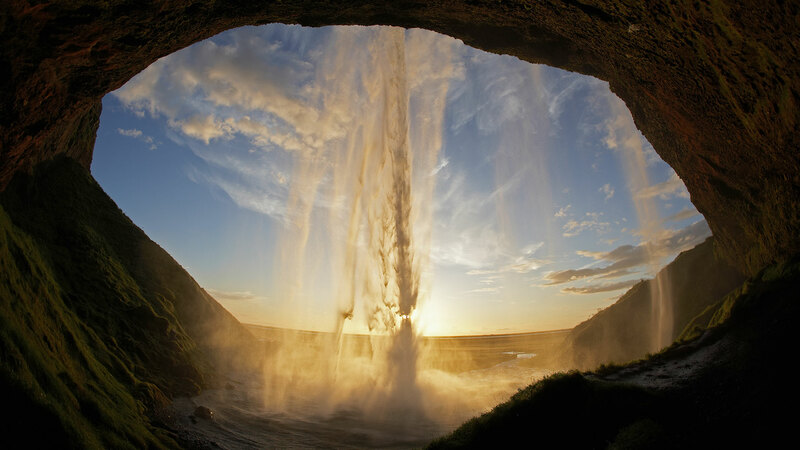 Námaskarð is another sight you will visit. This geothermal area located by the pass over Mount Námafjall is also called Námafjall, Hverir or Hverarönd, interchangeably. The area draws many visitors to its Martian-like terrain; the mountainside is stained neon green, orange and stark white thanks to the various gases escaping from subterranean vents. You will end the day with dinner at Icelandair Hotel Mývatn. Spend the night Icelandair Hótel Mývatn or similar. Average driving distance: 330 km / 205 mi. If you like whales, Húsavík is the place to be. 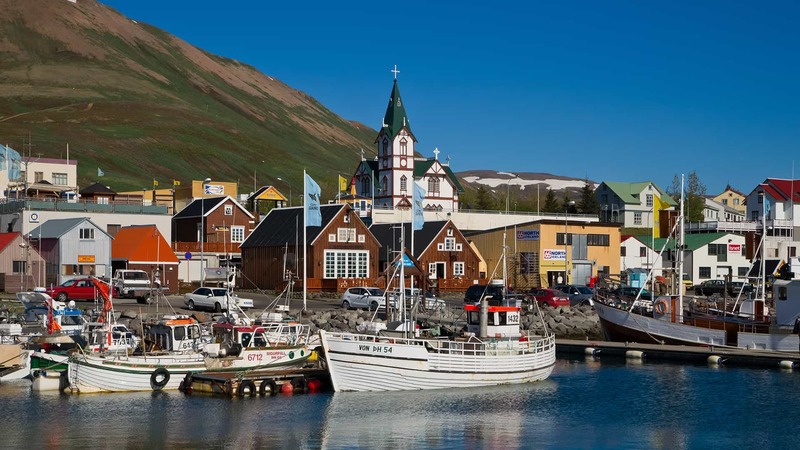 We will drive to this small fishing village and visit a fascinating whale museum before driving to Jökulsárgljúfur National Park. Here we will visit the Ásbyrgi canyon, which according to legend was formed by a footprint from the Norse god Odin's eight-legged horse. 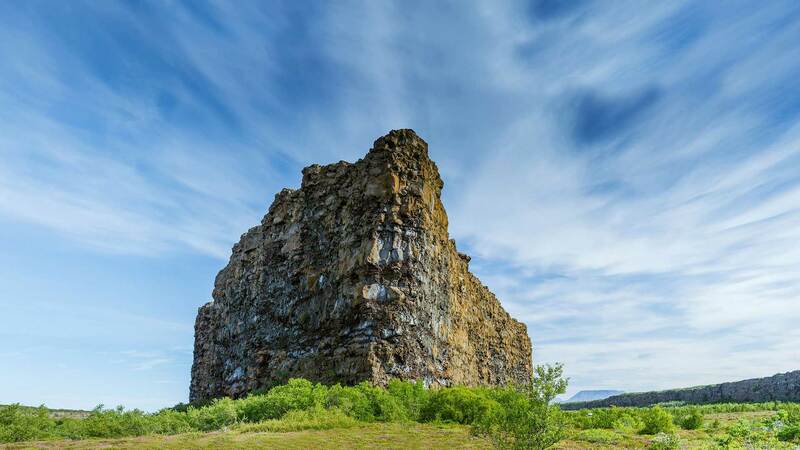 The next natural wonder on our list is Hljóðaklettar, the „echo rocks“, which are a collection of great basalt columns that create arched caves that are known to create eerie echoes & reverberations. There we will do a short hike to explore the area. 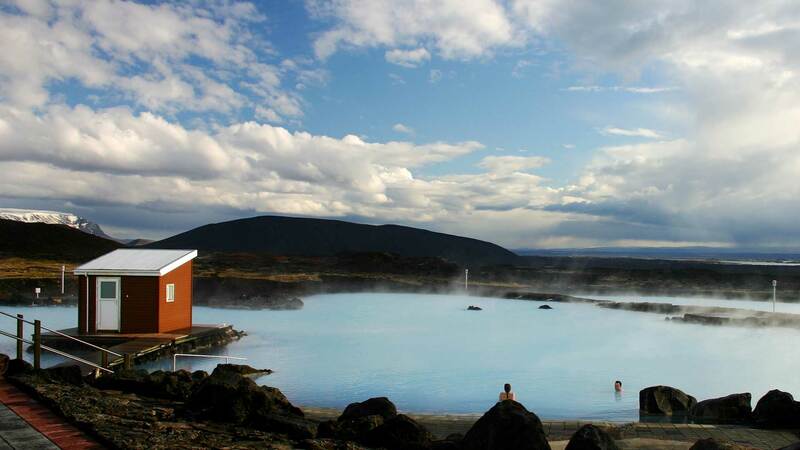 Later in the afternoon we will take a dip in the soothing geothermal milky-blue waters of the Mývatn Nature Baths. In the evening, you will enjoy an included dinner at your hotel. Spend another night in Icelandair Hótel Mývatn or similar. Average driving distance: 250 km / 155 mi. 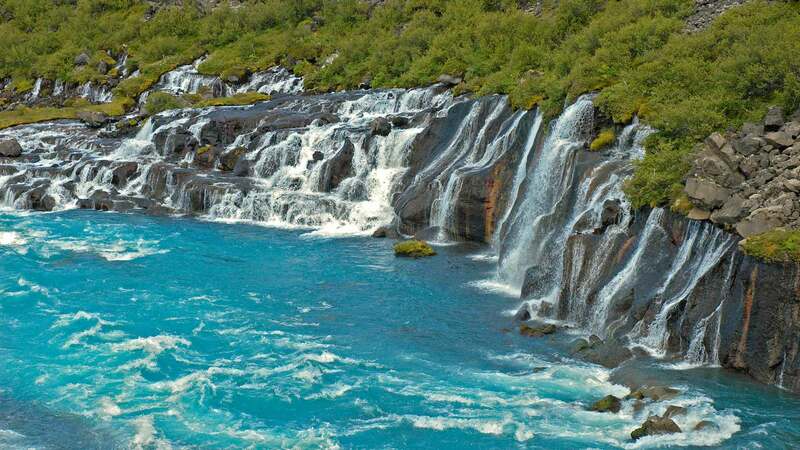 Leaving the Mývatn area today, our first highlight of the journey is the mighty Goðafoss, “The Waterfall of the Gods”. 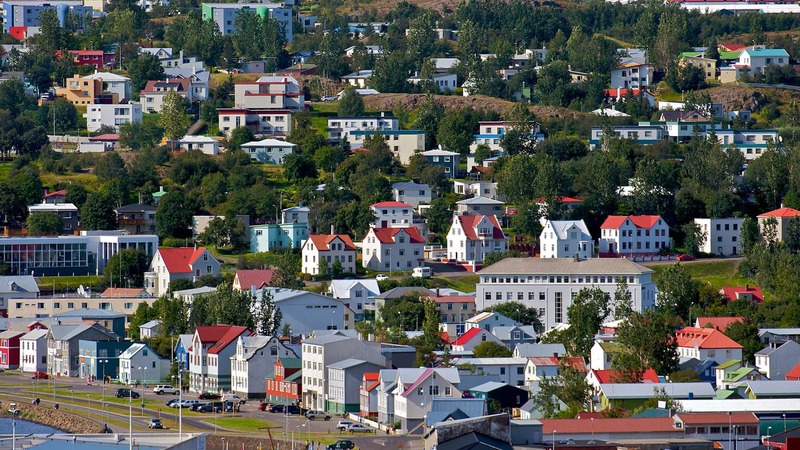 We will then make our way to the charming town of Akureyri, where we will take a stroll through the town centre that is always full of life during the summer months. After an early lunch, you will have some free time to explore on your own , before we head towards our next stop, Tröllaskagi (“The Peninsula of the Trolls”). Here you can enjoy fantastic scenery of beautiful mountains, cliffs and fjords before continuing through Siglufjörður, which was once the centre of Iceland’s herring fleet. We will make a stop at the Herring Era Museum, and taste some local delicacies, before heading for the next accommodation, where you will enjoy dinner with the group. Spend the night at Hótel Laugarbakki or similar. Average driving distance: 380 km / 236 mi. Today, you will drive onwards to the tranquil, remote Westfjords of Iceland before reaching the small village of Hólmavik. The village’s oldest house has been rebuilt and now houses a restaurant where you can see old photos of the village. End the day with a visit to the Icelandic Sorcery and Witchcraft Museum, which will give you an unforgettable introduction to the mystical world of supernatural Iceland. You will have the remainder of the day to relax and enjoy, in the area of Drangsnes, a scenic village that is lovely to roam. Spend the night at Malarhorn or similar. Average driving distance: 360 km / 224 mi. Today’s journey is characterised by dramatic fjords and towering mountains. Along the way we will stop at the rustic old farmstead of Litlibær, which now serves as an open-air museum, before heading to Ísafjörður, the unofficial capital of the Westfjords, and the biggest settlement in the region. There you will find some of the most historic houses in Iceland, dating back to the mid-18th century. Enjoy your evening at leisure in Ísafjörður with dinner on your own in town. Spend the night at Hótel Ísafjörður or similar. *Please note that Vigur island is currently up for sale. In the event that the island is sold or the tour is unavailable, the day would be altered with a different activity. Average driving distance: 240 km / 149 mi. In the morning, we will head to Suðureyri where you will enjoy a walking tour and get a good taste of the local cuisine and meet the locals. This unique opportunity offers you a chance to see how Icelanders thrive at the edge of the arctic. You will get to taste fresh fish caught from the pristine waters of the North Atlantic Ocean. Next, we head to the southern part of the Westfjords, starting with a visit to Dýrafjörður, where you will find the trail of the Viking Saga hero Gisli Súrsson. Continuing to Hrafnseyri, you can visit a museum dedicated to another Icelandic hero, Jón Sigurðsson, who was influential in Iceland’s battle for independence. 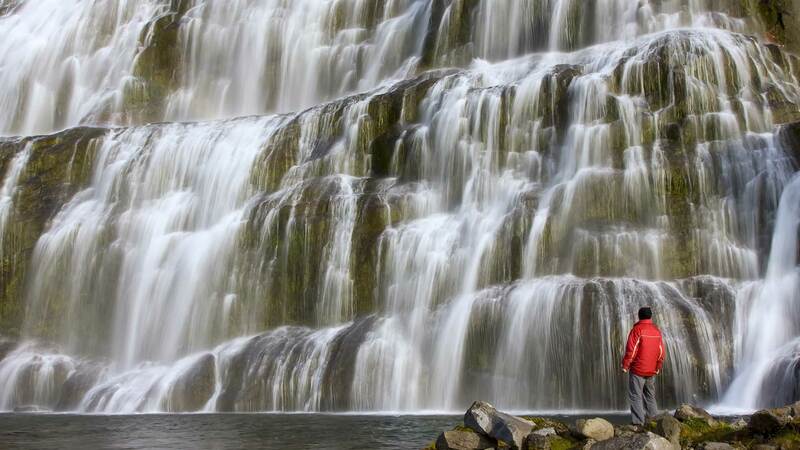 Next, we will make a stop at the impressive veiled Dynjandi waterfall before we head to our accommodation in Patreksfjörður. In the evening, arrange for dinner on your own, and spend the evening at your leisure. Spend the night in Hótel West or similar. Average driving distance: 230 km / 143 mi. We kick off the day with an early visit to the spectacular 444 metre-high cliff of Látrabjarg, situated at the westernmost point of Europe. Here, you can get a good look at some of Iceland’s many species of nesting seabirds, such as puffins and razorbills. Next we take the Baldur ferry across Breiðafjörður Bay to the village of Stykkishólmur on the Snæfellsnes peninsula, passing the island of Flatey along the way. Next the tour will visit Kirkjufell, a 463m high mountain on the north coast of Iceland's Snæfellsnes peninsula. The mountain is popular with photographers in Iceland thanks to its unusual shape. Next, you will continue along the Snæfellsnes Peninsula towards your accommodation. Enjoy dinner at your accommodation. In the evening we recommend a walk down to the coastline to enjoy the view. Spend the night at Fosshótel Hellnar or similar. Average driving distance: 260 km / 162 mi. We will start the day by visiting the highlights of Snæfellsjökull National Park and the southern part of the peninsula. 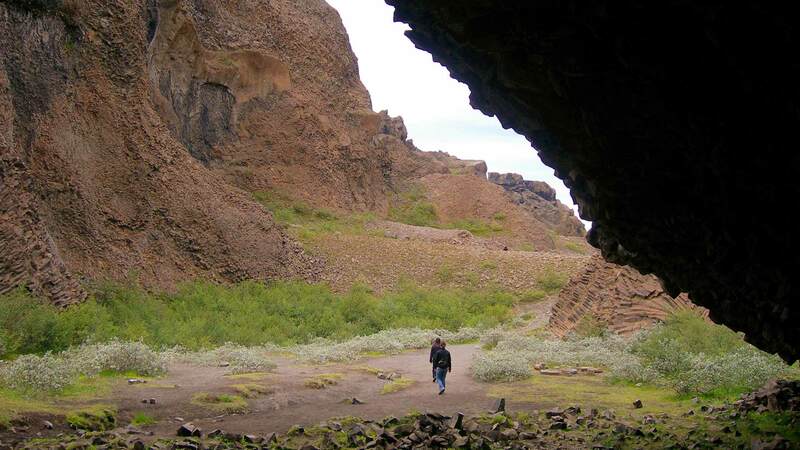 We will start at Djúpalónssandur, where you can try your strength by lifting the giant boulders found on the beach. Next, we will visit Arnarstapi, where you will find some unique rock formations, before heading to Búðir where you will find the iconic black church, Búðakirkja. Upon your return to Reykjavik, you will have free time to explore the city. Average driving distance: 188 km / 117 mi. When it’s time to depart, you will transfer from the hotel to Keflavik International Airport by bus about three hours before your flight. 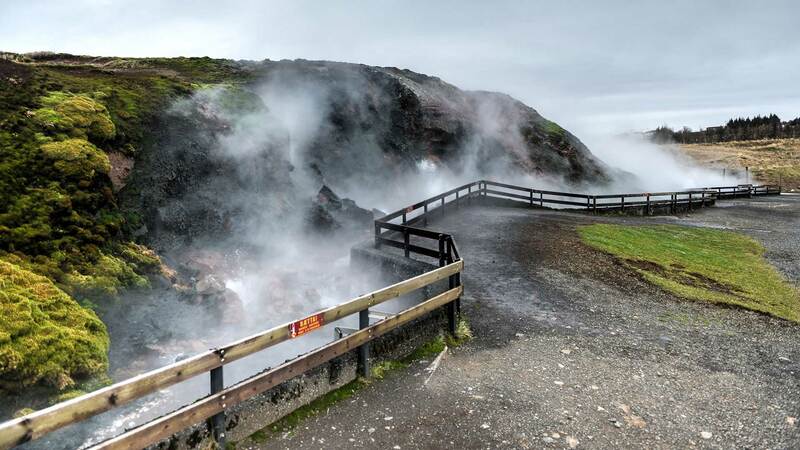 If your departure is in the afternoon, you have the option of visiting the Blue Lagoon* geothermal spa to relax in the warm mineral waters before continuing to the airport. Our team of local travel experts at Nordic Visitor have put together a list of wonderful hotels for your stay in Iceland. The hotels that we use are based on our top favourites in Reykjavik and in the countryside, with an emphasis on excellent ratings and comfort. To view the detailed list of hotels available for this tour, please click “VIEW” in the accommodation overview section for “Comfort”. A daily breakfast buffet is included at the hotels during your stay. You will also enjoy eight included dinners during your journey around the country. They will include either a set dinner menu or a dinner buffet with a good variety of local fresh ingredients. You can choose meat, fish or vegetarian dishes by notifying your travel consultant in advance of any dietary restrictions. The average cost of meals depends on the type of restaurant, but for lunch we’d say that the average cost is from 2500 ISK to 3500 ISK. The average cost of dinner can range from 3000 ISK up to 6500 ISK for the main entree. Three course dinners at restaurants are priced around 7000 ISK to 11000 ISK.